The test archaeological investigations in Sotin have been carried out since 2008 within the framework of the Institute of Archaeology MSES project Development and mobility of protohistoric communities in continental Croatia. As of 2012, the research is carried out in collaboration with the Vukovar Municipal Museum, with additional financial support by the Ministry of Culture. 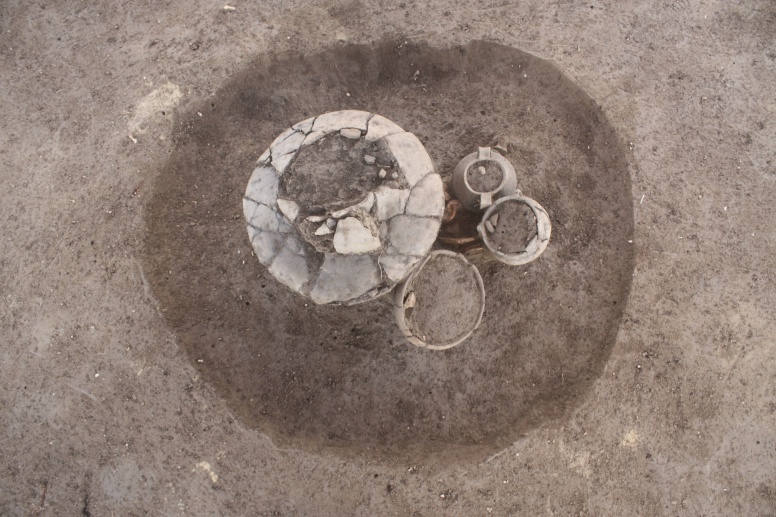 The research was initiated due to an exceptional opportunity to test hypotheses about the relationship between settlements and cemeteries during the Late Bronze Age and Early Iron Age in the Danube Basin on the example of the archaeological site in Sotin. 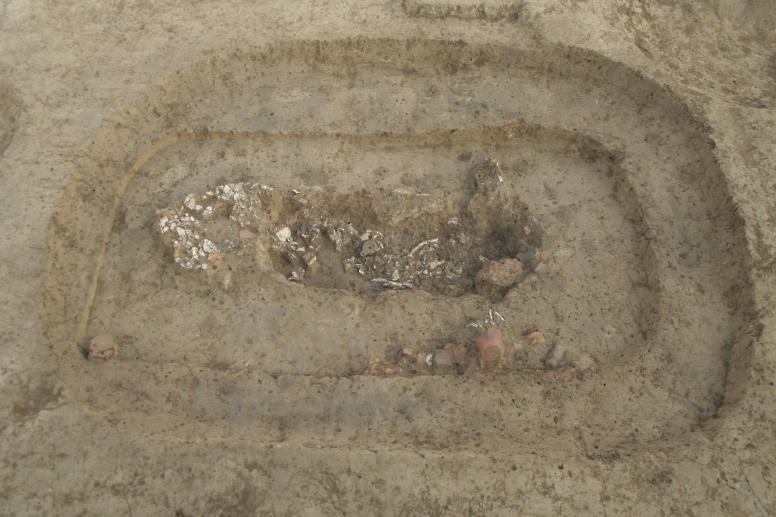 The primary starting points for this research were the knowledge of a native of Sotin, the archaeologist Mato Ilkić of the Department of Archaeology at the University of Zadar, who has been surveying the area of Sotin for a number of years, as well as the Archives of the Vukovar Municipal Museum, which contained information on previous salvage investigations in the Sotin area, which made it possible to locate the cemetery of the Iron Age community. 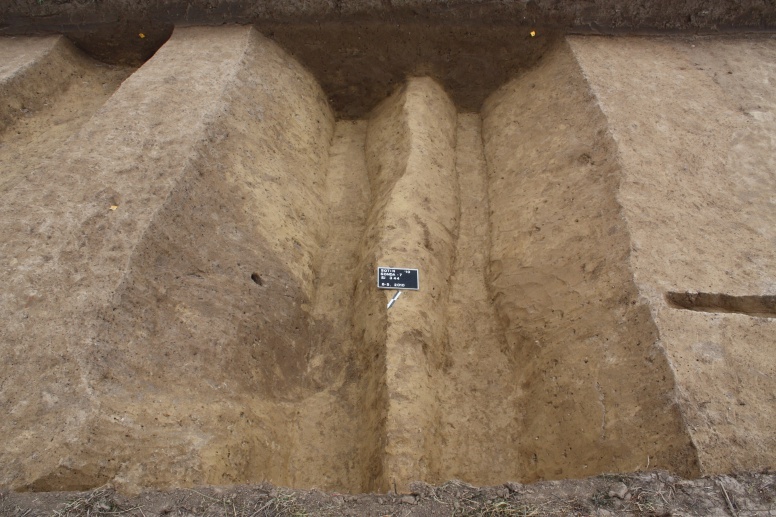 In the previous investigations (2008-2013), consisting of 16 trenches excavated at various positions in the north-eastern, eastern and south-eastern parts of the present-day settlement of Sotin, a total of 4868 m2 were investigated. The excavation uncovered the peripheral parts of a Baden culture settlement, as well as the peripheral parts of a settlement of the Dalj group. A total of 70 Iron Age cremation graves of the Dalj group were investigated, dated between the 9th and 7th centuries. Based on the defined edges of the Iron Age cemetery, it presumably covered the surface of around 100 000 m2. It has been established that during the Iron Age burials were practised based on clan affiliation in groups. A part of the cemetery has been identified where prominent members of the community were buried in the 8th century BC. Economy-related parts of a civilian settlement from Antiquity have been discovered, as well as a part of a defence ditch belonging to a 2nd-century temporary military camp. The remains of antique roads that led from Roman Cornacum towards the east and south-east have been discovered. The excavation of 35 cremation and inhumation burials has positively confirmed the existence of necropolises alongside these roads. A part of the early mediaeval settlement was investigated in the north-eastern part of the present-day settlement in Sotin. The chronologically divergent mosaic of information about life in Sotin connects it with distant peoples and lands, when goods and ideas were arriving in this area via the communication along the Danube, which then, as much as now, played a number of roles in the European landscape. The archaeological investigations of peripheral parts of the site, whose importance has been corroborated by millennial continuity, have provided important information about the micro-topography of settlements, their contemporary settlements and roads, as well as the changes in their positions and importance through prehistoric and historical periods. Ilkić, M. 2010, Arheološka topografija srednjovjekovnog Sotina, Zbornik Stjepan Gunjača i hrvatska srednjovjekovna povijesno – arheološka baština 1, Split, 383-401. Ložnjak Dizdar, D., Hutinec, M. 2014, Sotin – arheološka istraživanja 2013. godine, Annales Instituti Archaeologici, X, 9-13.